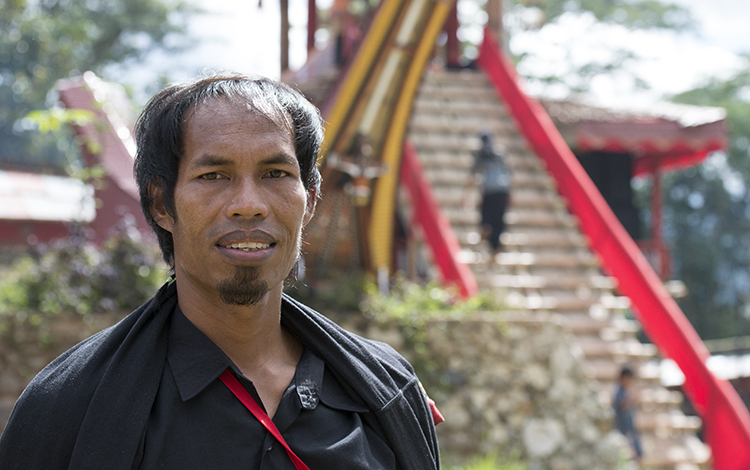 Daud Rapa is Tana Toraja’s best tour guide. Fluent in English and French, Daud can help plan your perfect trip to Sulawesi. He can provide privileged access to Toraja’s elaborate funeral ceremonies, and also arrange public and private transport, airport pick-ups, tours, hiking, rafting, hotels and anything else you need. Daud now offers homestays at his home in Rantepao, which will allow you to experience life in Toraja, far from the busy tourist trail. With Daud’s help, your trip to the magical land of Toraja and other regions of Indonesia will be an unforgettable, life-changing experience. We hope you enjoy exploring this site. If you want to find out more about tours of Tana Toraja, around Sulawesi, and in other parts of Indonesia, please contact Daud and he’ll be happy to help. When viewing on a mobile device, click on the button on the top left corner of each page to see a full drop-down menu of site content.